The Marek Dusil Blend formed in Prague, Czechoslovakia. Marek Dusil was the songwriting cornerstone for the group, with musicians gathering, and aiding, in the creation of the music. Health concerns took the lead guitarist away from the group shortly after their 2010 debut album, the culmination of five years of work. Rather than plugging in another musician, Marek wisely chose to record and present Ocean, the band’s latest release, with a more acoustic face to the sound. Many of the song’s stories are told in native Czech. The tracks recorded in English hint that lyric content for the tales moves with the same poetic flow through both languages. An assured acoustic rhythm grounds “More Stones” as a solid border of fret work from Marek Dusil’s guitar maintains consistency in the arrangement. The weaving note patterns never become routine yet there is an order, made possible by the six-string, that allows David Bapka’s lap steel to take flight and offers a firm foundation for the story as it weighs a questionable rea life at home with dreams of America. The songs of Marek Dusil Blend have a musical background that counts an age of experience without losing its ability to stay playfully young. As the instruments support “Balada” with quiet reverence, the combined voices know no boundaries and “Pod Oblohou” admits to both jazz and folk influences, as do many of the musical beds on Ocean. 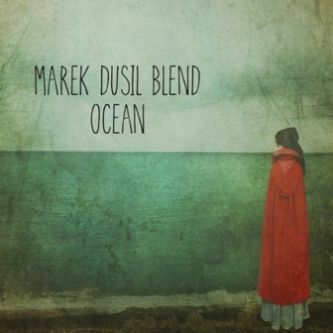 The Marek Dusil Blend create American Roots music as an import, with a sound that shares both European and New World heritage. Once in the capable playing fingers of the band, the folk, jazz and blues influences from over the sea become magically homegrown.